It's the first day of school for Penelope Rex, and she can't wait to meet her classmates. But it's hard to make human friends when they're so darn delicious! That is, until Penelope gets a taste of her own medicine and finds she may not be at the top of the food chain after all. . . . 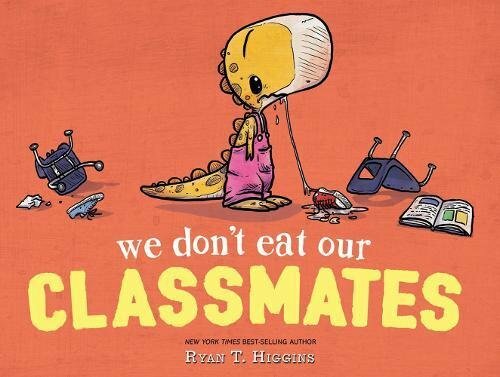 Readers will gobble up this hilarious new story from award-winning author-illustrator Ryan T. Higgins. This was a very fun book that looks at what it is like for someone to start at a new school and be different than so many others. I love that the T-Rex says that humans are tasty and has to keep her tendencies to eat humans under control! The book was a ton of fun and has some great messages included within it as well that any parent will love to share with their own kids!